We would be delighted to welcome you to Vrede Self Catering – Our Service Excellence Awards. Boskloof Eco Estate is a unique development in the Helderberg Basin. 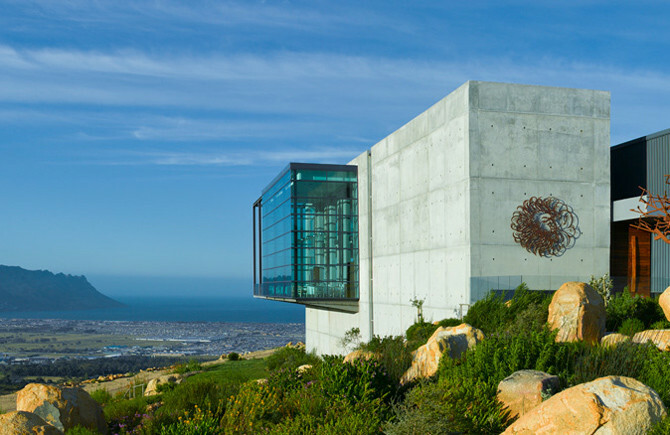 It captures the natural beauty and splendour of Cape mountainside flora in a secure, private nature reserve of 51 ha. 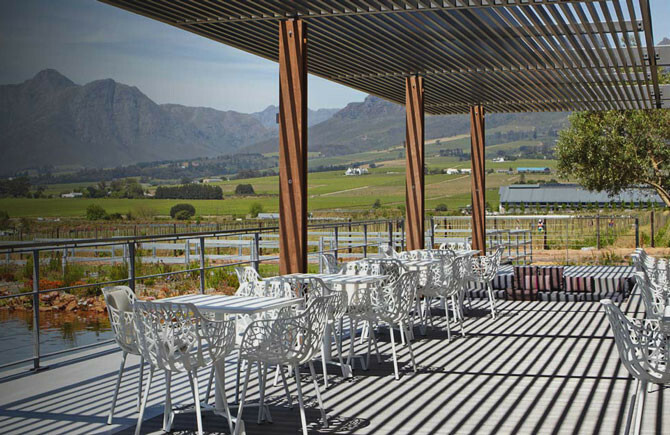 The natural amphitheatre of Boskloof reflects the entire False Bay Coastline with spectacular views to Table Mountain, the Cape of Good Hope and the Hottentots Holland mountains. Boskloof is where man lives in harmony with nature. 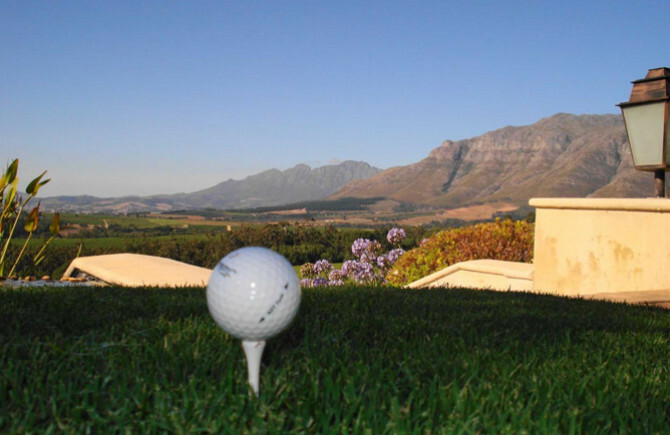 The Estate captures the natural beauty and splendour of Cape mountainside flora and fauna. This dam is declared 'Trout Water' in terms of the Cape Nature Regulations (Ref: Section 57 and 58 of the Nature Conservation Ordinance of the Province of the Western Cape, 1974 (Ordinance 19 of 1974) and Rainbow Trout (Oncorhynchus mykiss) is stocked. Nestling in the natural amphitheatre of Boskloof is the dam, take a dip at your own risk. Swimming is at your own risk. 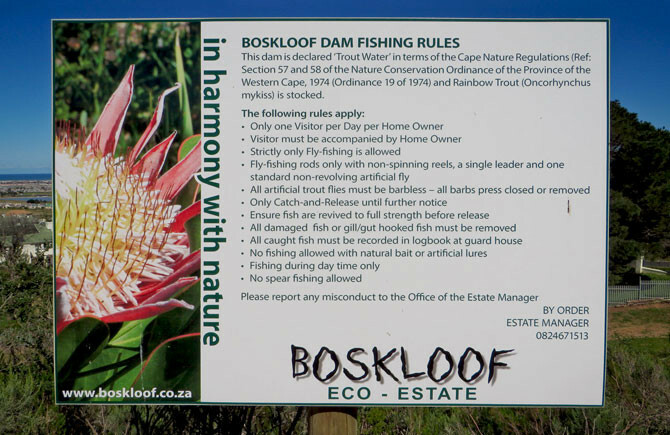 The development of Boskloof takes place in an environment characterised by the presence of indigenous vegetation. The Helderberg Mountain is part of the Hottentots-Holland mountain range in the Western Cape, South Africa. The Helderberg Nature Reserve is situated on the slopes of the beautiful Helderberg Mountain overlooking the town of Somerset West and False Bay. There are numerous hiking trails on the Helderberg mountain. Hoerikwaggo – “Mountain in the Sea” is the original name given to the mountain chain by the indigenous Khoisan people of the Cape, although of course, the history of the mountain dates back roughly 30 000 years, with evidence tracing as far back as the Stone Age. 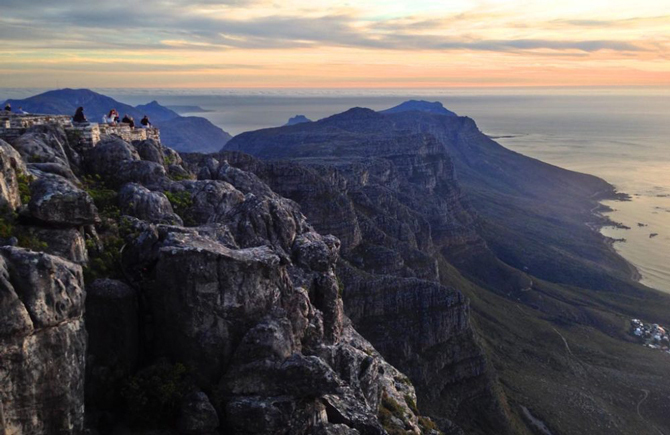 Today, this iconic mountain chain is known as Table Mountain National Park. Spend a day out with the family, enjoying panoramic views and activities for visitors of all ages. 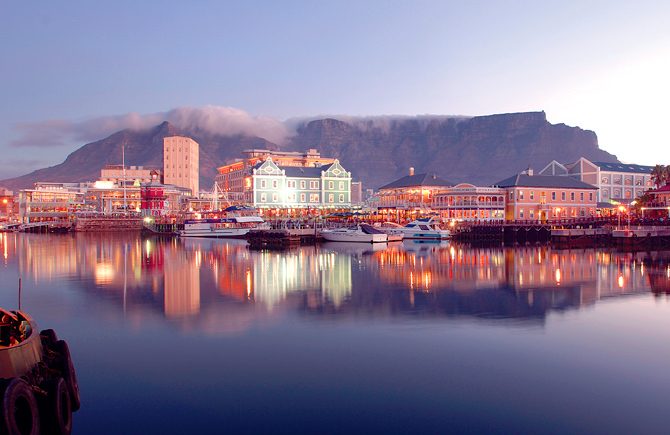 Situated at the foot of Table Mountain, within a stone's throw from the Cape Town Stadium and in the heart of Cape Town's working harbour, the V&A Waterfront offers the visitor an abundance of unforgettable experiences. Indoor shopping and entertainment venues seamlessly merge with ocean vistas and mountain views and the fresh sea breeze and warm African sun add zest to a cosmopolitan, vibrant atmosphere. 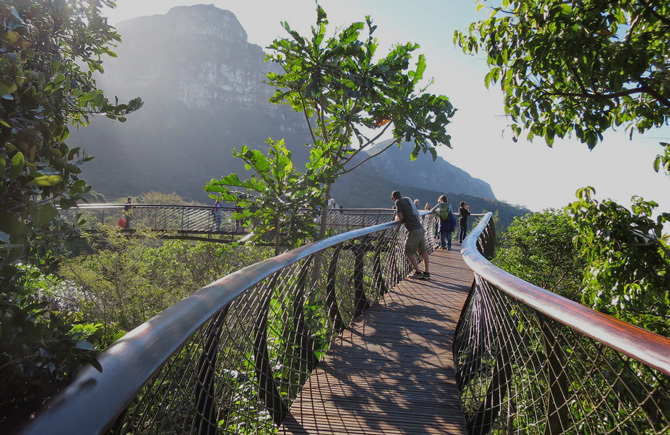 Kirstenbosch National Botanical Garden, 'the boomslang' (meaning tree snake) pathway takes visitors from the forest floor through the foliage of the tree tops eventually ascending above the canopy of the Arboretum to give spectacular views across the mountain. The Kirstenbosch estate covers 528 hectares, of which 36 ha is cultivated and the rest is a protected area supporting natural forest and fynbos, and a wide variety of indigenous birds, animals, reptiles, frogs and invertebrates. 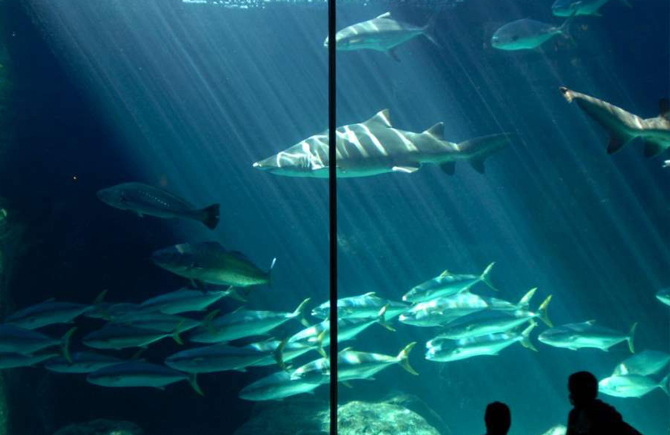 Plan your trip There are regular feeding times for all the major exhibits, Open from 09h30 until 18h00, 365 days a year. One of the most popular places in Gordon’s Bay is Bikini Beach, thanks to its sheltered locality between the mountain and harbour, Bikini Beach comes into its own when the wind is howling. It enjoys Blue Flag status, attesting to its water quality, safety and related international criteria. Gordon’s Bay offers a variety of ocean activities including swimming, diving and surfing the waves of Kogel Bay. 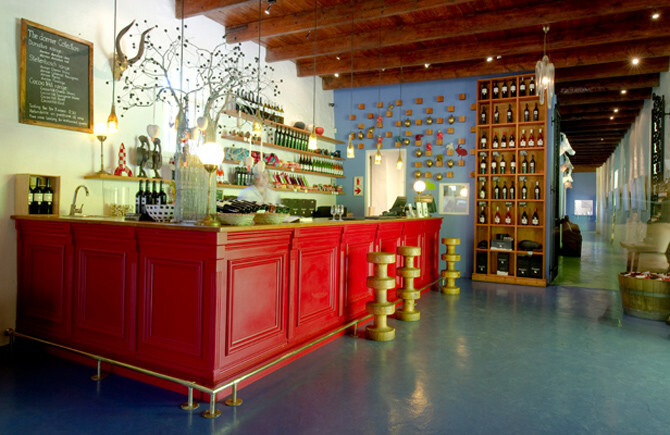 Waterkloof Wines use time honoured traditions, creating unique wines. Distance 8.1 km, 13 minutes drive. 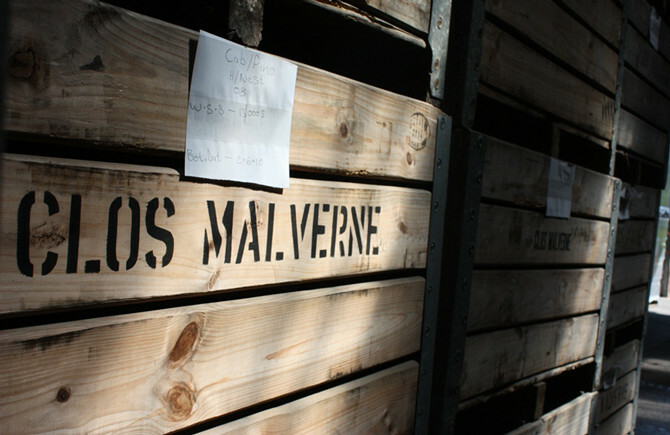 Clos Malverne is a Stellenbosch Wine Farm that is very much a family affair. Distance 24.8 km, 28 minutes drive. Visit the Ernie Els Winery and take a peek into our impeccable cellar and view some of Ernie's finest golfing achievements in the Trophy Room. Distance 16.1 km, 19 minutes drive. From the 2010 vintage onwards, Dornier Wines bear the Integrity & Sustainability Seal. Dornier fully supports this idea with a set of environmental and social initiatives in all areas of viticulture and wine making. Distance 21.6 km, 25 minutes drive. The Guardian Peak 'Live with Wine' philosophy is built on our firm belief that wine and food should be inseparable in our daily diet - it being not as much a matter of appreciating wine with food, but rather the enjoyment of wine and food. 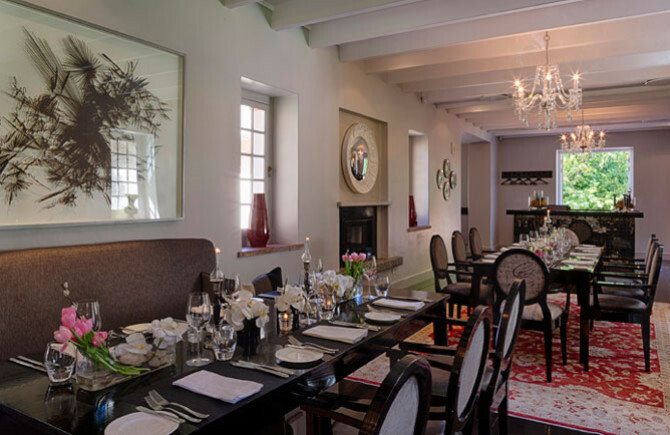 The Camphors at Vergelegen signature restaurant takes its name from the ancient giant camphor trees, planted in 1700, situated in front of the historic Homestead. The restaurant overlooks expansive lawns and beautiful trees complementing the overall dining experience and creating an ambiance never to be forgotten. For any queries or reservations contact Andrea Shuttleworth. 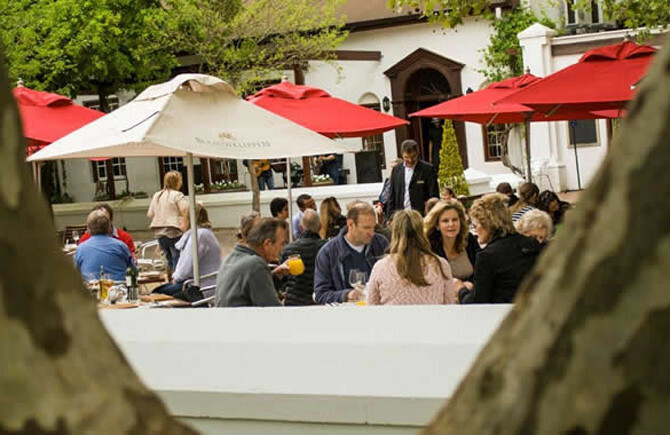 For same day reservations, phone: +27 21 881 3757, email: dining@rustenvrede.com, no e-mail bookings after 17:00. Hours: Tuesday to Saturday from 18.30. Closed Sundays and Mondays. Booking in advance is recommended. Dress Code: Smart, Maximum of 8 guests per table. Due to the nature of the establishment, children under the age of 12 are not permitted. 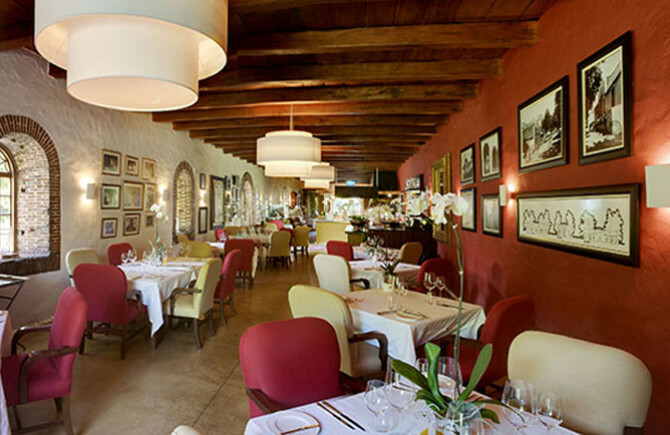 The restaurant at Clos Malverne is rated as one of the top Restaurants in Stellenbosch by various online review portals. 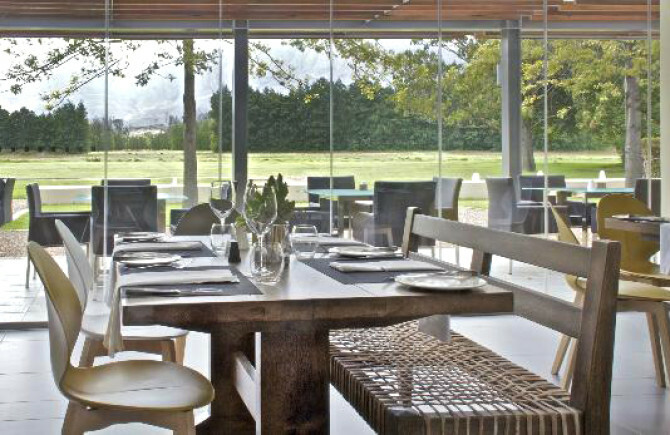 Enjoy a relaxed dining experience at the Stables at Vergelegen. Classic, with a modern twist, the ‘bistro’ style restaurant offers a varied, contemporary menu of simple but visually delectable dishes for a warm and family-friendly dining experience. 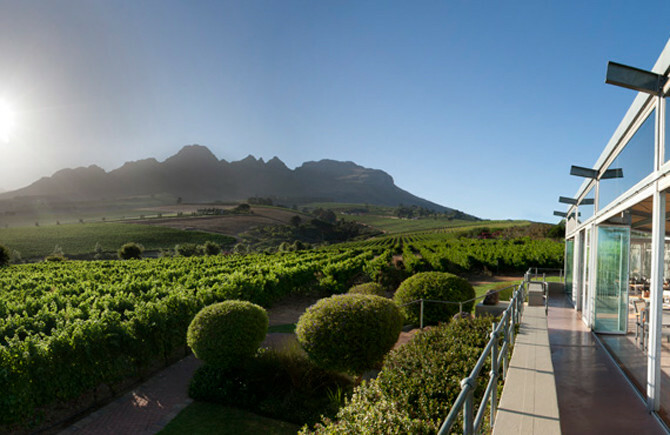 Whilst sipping on award-winning wines, enjoy breath-taking views of the Hottentots Holland mountain range. 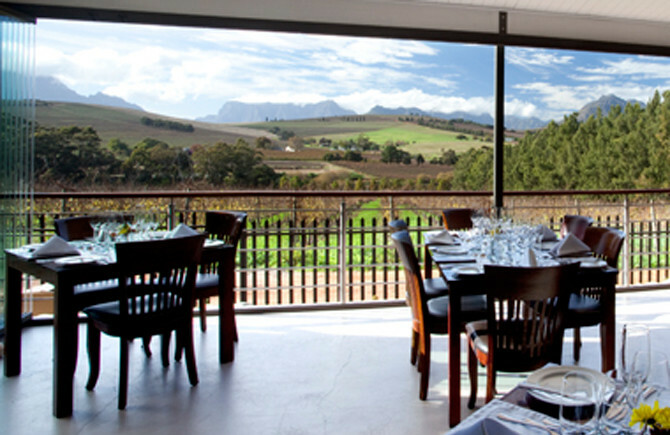 In the time-honoured South African tradition of amiable hospitality, our bistro and deli welcomes families and friends. Prepared with honesty, the charcuterie at Blaauwklippen presents an ultra-modern twist to traditional specialties: find free range, hormone free, pasture-fed, ethically farmed produce and artisanal hand-cured meats using only the freshest ingredients. With an emphasis on local produce, the menu focuses on simple, fresh and flavoursome food made with a great deal of passion & care, & served with a smile! Join us for one of our delicious, thin based rustic wood-oven pizzas, enjoy a lovely fresh, crisp herbed salad or treat yourself to one of our decadent, freshly baked desserts made with a great deal of enthusiasm & pleasure. Café Blanc De Noir is the perfect place to sit back & relax. Daily 12h15-13h30 for collection of picnic baskets (Nov-Apr) | closes at 16h30. 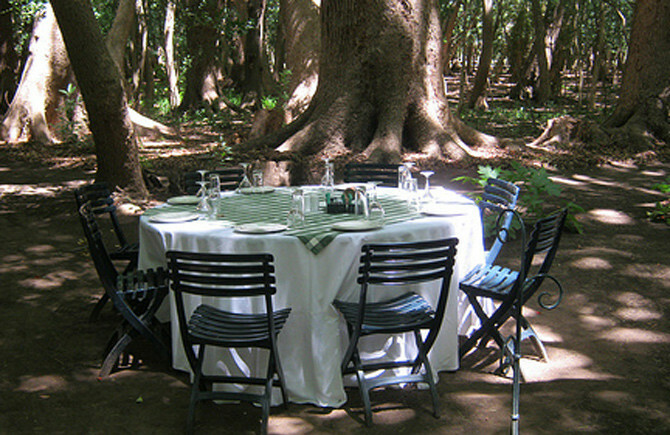 Vergelegen's mystic Camphor Forest is the host for a "white tablecloth" picnic. It offers an opportunity for both intimate as well as family and friend gatherings in a beautifully shaded and tranquil environment in the remnants of Van Der Stel's Camphor forest. 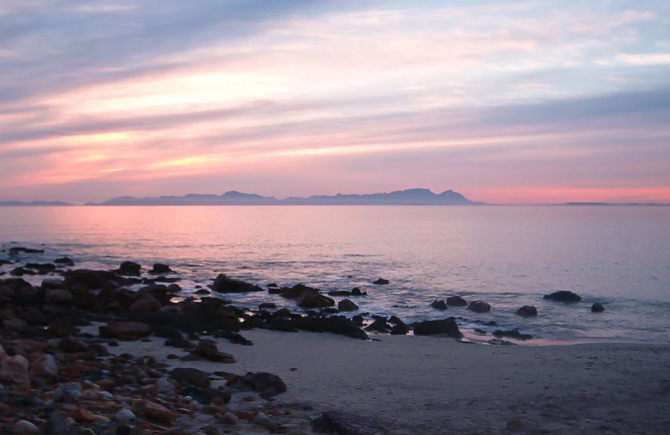 Situated on the beachfront in the Strand, Ben's on the Beach boasts spectacular views across False Bay. Veteran award-winning restaurateur Ben, and his wife Shirley established Ben's in 2004. 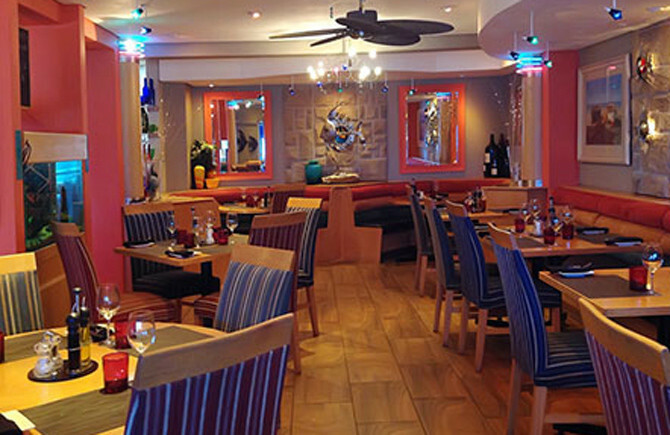 They have created a stylish yet relaxed venue, where a varied selection of dishes is offered. Ben says: "Many diners prefer simple dishes such as a great steak or a fresh fillet of fish and with this in mind, we have created our menu." Restaurant Hours: Wed- Saturday 12am-3pm, 6:30-9:30pm and Sunday: 12- 3pm. 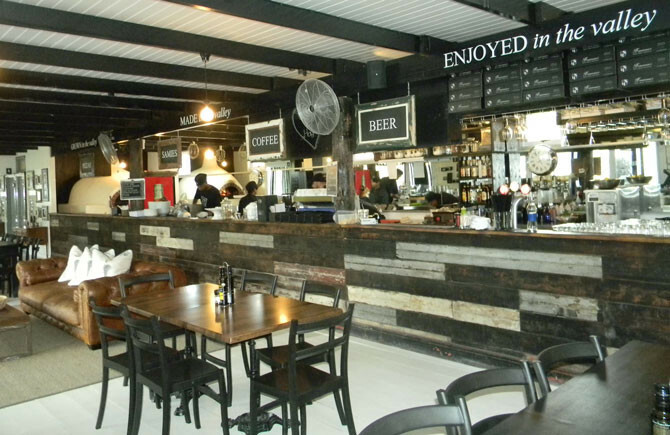 Restaurant bookings: (021) 855 3218 (9am - 5pm) Monday to Friday. 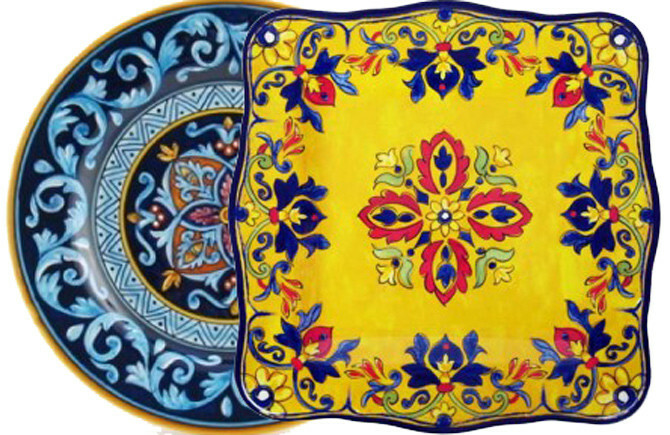 Cavalli’s approach to cuisine encompasses a combination of freshness, flavour and flair. Real, humble food cooked textbook style, paired with an expertly crafted local and international wine list, artisanal cocktail, craft beer and a notable selection of single malt whiskeys. Cnr.R44 & Main Road Somerset West.